Tanzania Football Federation (TFF) through its organ Tanzania Premier League Board (TPLB) mandated to manage its brands namely Premier League, First Division League and Second Division League is looking for suitable qualified Tanzania candidates for 4 posts within its Secretariat. A. Job summary Reporting to the Chief Executive Officer. 1. Holder of Undergraduate Degree preferably Human Resources or Administration. 2. Must be computer literate. 3. Must be fluent in both written and spoken Kiswahili and English languages. 4. Must be Tanzanian Citizen. 5. With a minimum of three years working experience in high profile office. 6. Strong interest in sports, especially football. 7. Between 30 and 40 years of age. 1. Deal with all general correspondence. 2. Provide assistance to Chief Executive Officer. 3. Deal with confidential matters in the office of the Chief Executive Officer. 4. Undertake routine correspondence with prior approval of Chief Executive Officer. 5. Arrange meetings and appointment schedules for the senior executives. 6. Maintaining good communication links with clubs and other stakeholders. 7. Perform any other duties as may be assigned by Chief Executive Officer. A. Job Summary Reporting to the League Officer. 1. Holder of Degree in Management, Administration or Statistics. 5. With minimum of three years experience in football related matters. 6. Strong interest in football. 7. Between 25 and 35 years of age. 1. Organizing all fixtures and draws. 2. Receiving Match Commissioners and referees report, analyzing and acting on them. 3. Liaise with Supervisors as well as regional football associations regarding match preparations. 5. Maintaining good communication links with stakeholders. 6. Establishing good work relations with clubs and stakeholders. 7. Fixture scheduling including postponing a fixture in exceptional circumstances. 9. Distribution of match official forms to designated venues. 10. Supervision and monitoring of matches played at different venue. 11. Performing any other duties as may be assigned by CEO. A. Job summary Reporting to the Operations Manager. 1. Holder of Form IV Certificate. 2. Must be fluent in both written and spoken Kiswahili and English languages. 3. Must be Tanzanian Citizen. 4. With a minimum of three years working experience. 5. Between 20 and 35 years of age. 1. Keeping office and its surroundings clean and tidy. 2. Taking instructions from fellow staff. 3. Responding for all staff matters. 4. Perform any other duties as may be assigned by Operations Manager. 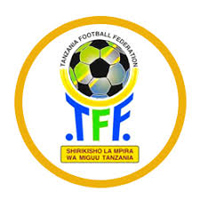 Tanzania Football Federation (TFF) is an equal opportunity employer. TFF offers an attractive remuneration package, career development opportunities and good working environment. 4. Copies of relevant certificates. 5. Names and full contacts of three (3) referees. Applications should reach the undersigned not later than 4.00 pm on Friday 6th July 2018.